Marc Gledhill supervises residential conveyancing at the Halifax office. He also does some Landlord and Tenant Act work and acts for local builders and developers. His managerial responsibilities include administration, finance and marketing. Marc began working for Finn Gledhill at the tender age of 13! As the son of foundering partner, Michael Gledhill, Marc spend half his school summer holidays working in the office every year, helping out on the switchboard, assisting the cashiers and sorting out the firm’s large archive files section. 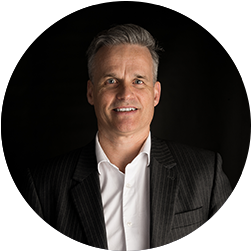 Following family tradition Marc became a solicitor and joined the firm officially in the mid eighties, becoming a partner two years after qualifying. Marc is married to Jo and they have two children. He enjoys skiing mountain biking and golf in his spare time and likes playing computer games when his children give him the chance.